The filing of claims and objections to decide the fate of 40 lakh people whose names were excluded from the draft list (released on July 30 last) had begun on September 25, 2018 and ended on December 15. Services for online correction of names, particulars appearing in Draft NRC will start tomorrow. The process for correcting names and other particulars that appeared in the final draft of the National Register of Citizens will begin from January 2, said a notice issued by the office of NRC Assam. According to the notice issued by NRC state coordinator, Government of Assam, "Name, etc Correction - Services for online correction of names and other particulars appearing in Draft NRC will be started from 10 am of 2/1/19. This facility can be availed by visiting NRC Assam's website. Facility for name correction will also be available by submission of correction forms at NRC Seva Kendras (NSKs). These facilities will be available till 31/1/19," the notice stated. The process has no connection with the submission of claims and objections which got over on December 31, 2018, it said. The Supreme Court had pushed the date to December 31, 2018 after the Assam government sought extension of the last date following demands for it by various local organisations. Reports appearing in a section of media claimed around 30 lakh people had filed claims for inclusion by Monday evening, when the deadline for the Claims and Objections' round ended. 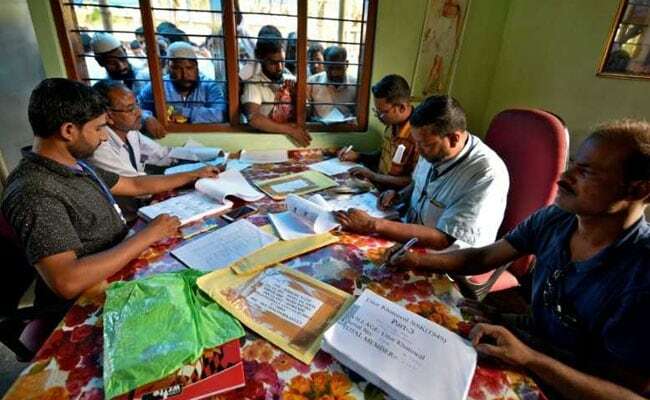 The claims and objections were earlier scheduled to be filed in August, but the Supreme Court reprimanded the NRC Coordinator and Registrar General of India for announcing the dates without the Standard Operating Procedures (SOP) being approved and directed them to refrain from talking to the media. The National Register of Citizens (NRC) is being updated under the direct monitoring of Supreme Court. The second and complete draft of NRC was released on July 30, 2018 that included the names of 2.9 crore people out of the total applications of 3.29 crore. The first draft was published during the intervening nights of December 31, 2017 and January 1, 2018 containing 1.9 crore names.